All of France's officially protected cheeses are expertly rendered by Dr. David Gissen, author of the critically acclaimed Metro Wine Map of France. 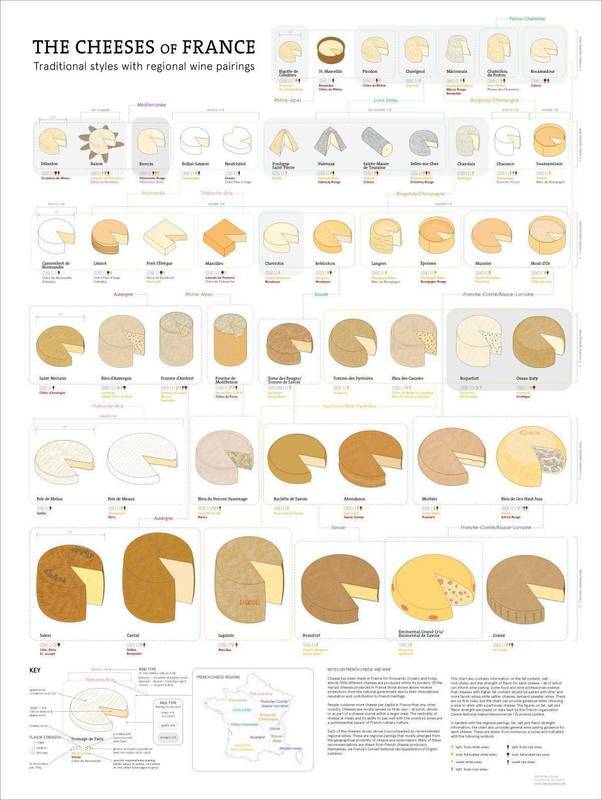 Organizing each by size, type and region is a stunning and imaginative new way to look at cheese. Perfect for any cheese lover, it's great conversation piece and reference to display wherever cheese is enjoyed. Clearly shows all 45 Appellation d’Origine Protégée (AOP) and 8 Indication Géographique Protégée (IGP) cheeses. Visually organized by size as well as by type and region. Fat content, flavor strength and salt levels indicated. Specific wine recommendations drawn from French cheese producers as well as more generalized suggestions.